featuring meow-derately Instagram famous Gary the Cat (@greatgramsofgary). In just under a year, Gary has grown his Instagram to over 5,000 followers and reddit subscribers to over 4,000! In this presentation, Gary’s pawrent and social media manager James will talk about the development of Gary the Cat’s social media presence and share simple strategies you can use to help boost your own cat’s Instagram fame. Presentations are included with your festival ticket. 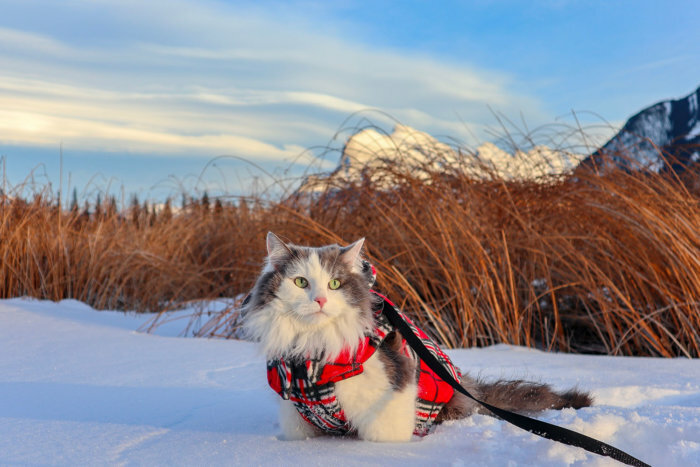 Gary is a five-year-old domestic longhair, rescued from the Calgary Humane Society. 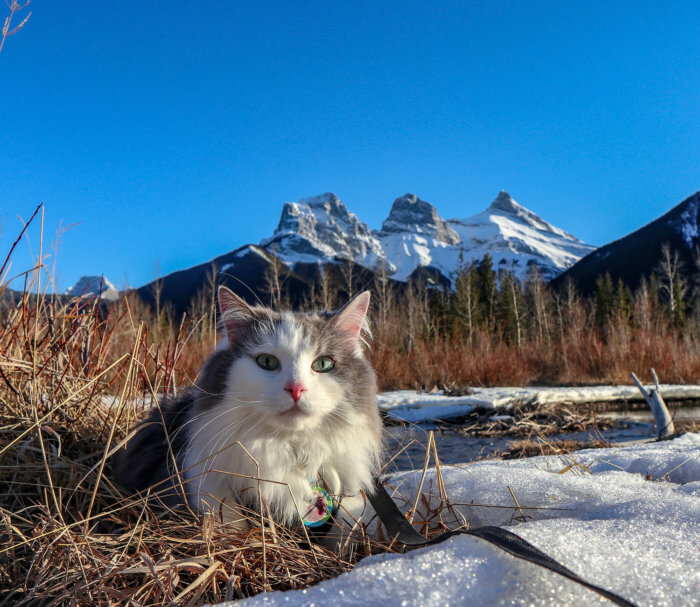 Gary was a former Edmontonian and currently lives in Canmore with his pawrents and two brothers Carl and Duke. When Gary is not out adventuring, he likes napping by the fireplace, chattering at squirrels in the yard, and begging for treats. Gary’s adventures can be found on Instagram @greatgramsofgary and reddit at /r/gary_the_cat. Be sure to follow and let Gary know you’re looking forward to his purr-sentation at the Edmonton International Cat Festival! All presentations are included with your festival ticket, you’ve just got to plan your day to ensure you glimpse Gary and learn how to help your cat can become meow-derately successful on the Internet! 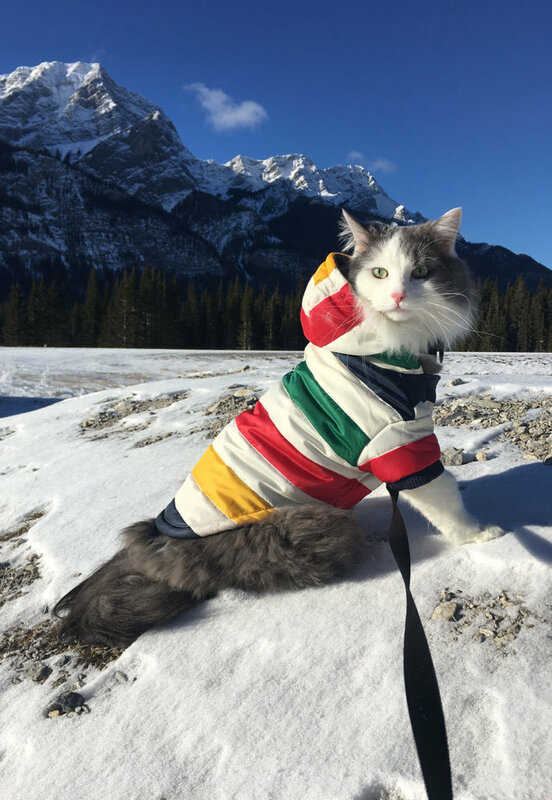 Thank you to our Celebrity Cat Hotel Sponsor the Fairmont Hotel Macdonald for providing accommodations for Gary so he can purr-ticipate in the June 1, 2019 Edmonton International Cat Festival!